A new Vectrex game you say? Oh yes indeed, and this one looks seriously cool! 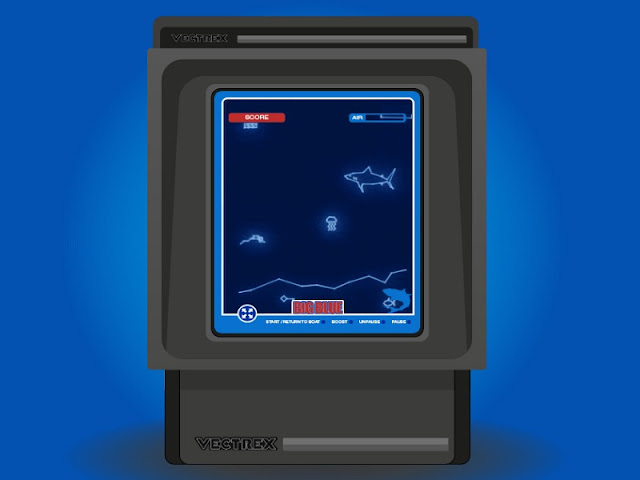 Developed by Chris Parsons, Big Blue is the latest game that is set to take the Vectrex scene by storm. 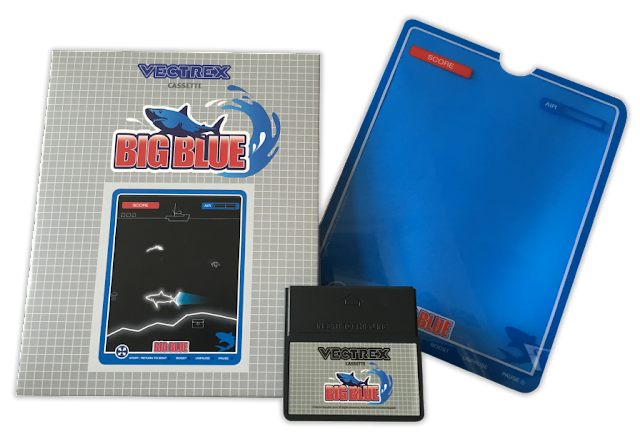 In this game you play as a treasure hunting diver of deep explorations, on the hunt for not just treasure keys for big rewards but special fish which swim below the ocean depths. Just be careful now, not only is your air supply dropping fast but there are deadly Sharks, hungry for the next meal. But if you think it's just the game which interested us you'd be oh so wrong. As Big Blue is a rather special release containing not just the full Vectrex game cart, but a retro styled box, manual and a full screen printed original style retro overlay on 50 gsm plastic. All this with sturdy foam innards to keep it all in place and priced at just £35+p&p!